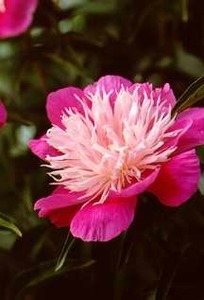 Peonies are one of the most beautiful plants you can add to your garden. Their delicate and vibrant blooms will give you joy and fragrance galore! Peonies are late spring's most wonderful surprise. With embarrassingly little work, these plentiful perennials produce armloads of flowers whose heady fragrance can be detected nearly anywhere in the garden. These beautiful blooms also bridge the gap between fading late-spring borders and the blooms of summer. Peonies only require a sunny, well-protected area to grow and bloom happily for decades. 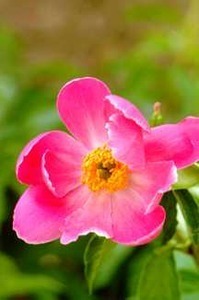 Hybrid peonies typically bloom early in the season often in shades of pink and red. Foliage is light to medium green. Lactiflora peonies are commonly found in the United States and usually have larger flowers and darker colored foliage than hybrid peonies. 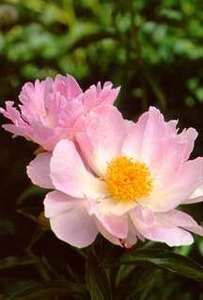 Japanese peonies commonly have a colorful grouping of sterile stamens surrounded by one or two rows of petals. 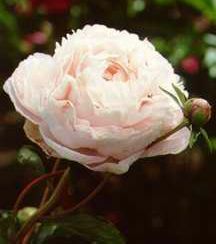 Single peonies have single-petaled flowers. 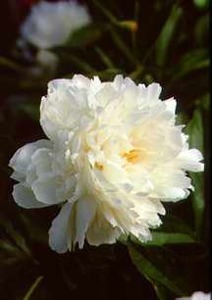 Double peonies consist primarily of all petals.